Do you remember a Dallas Cowboy defensive end who played for them in the 70's and 80's named Ed "Too Tall" Jones? 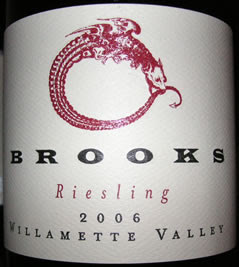 Well this review is about Brooks "Too Tall" Riesling, the 2006 vintage from the Willamette Valley, to be precise. I purchased this bottle from Domaine 547 (wonderful delivery service, Jill!) and hadn't planned on drinking it that soon, but the darn bottle wouldn't fit in my wine cooling unit. It is too tall! It's got to be the tallest bottle for a conventional wine that I have ever seen and frankly, I was miffed at this. The bottle is totally impractical, just like those really fat "SUV-type" bottles that take up two parking spaces in the cooler. So I had to put it in the refrigerator. I didn't want to leave it sitting too long in the fridge so I drank it a few days later. You will need to purchase refrigeration offsets if you buy this wine. 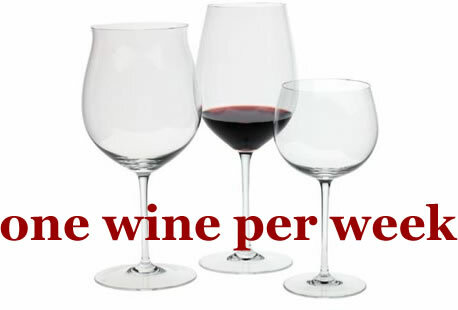 Right off the bat, aromas of fresh-cut red apples jumped out of the glass. This was a crisp, refreshing wine with primarily apple flavors along with pears and some tartness from hints of grapefruit. The fruit was fresh and natural, not candied or overly sweet. What I missed was a steely character I like about Rieslings; there was no petrol component, either. Maybe that's not something to expect from a domestic Riesling, though? I don't know. This is a well-balanced wine that would be great for a warm day, that tastes clean and refreshing without any cloying or overdone character. Don't drink it ice cold because you'll miss the flavors, but do serve it chilled, to the left of normal "cellar" temperature. $18.99 from Domaine 547, this one gets two thumbs up from me!